Marc leathers is the President and owner of Leathers & Associates and has been employed by L&A for 36 years. Six years prior to working full time for the firm, he owned his own construction company. It didn’t take him long to realize the positive impact L&A’s projects have on communities – especially the kids. When Marc decided to team up with his father, Robert Leathers, and solely focus on L&A’s custom playgrounds, his design, management and construction background provided him the perfect balance required to lead L&A over the past 15 years. As a hands-on owner, Marc is involved in all aspects of the company from design, through project management and construction. In a team working environment, he works together with his staff to ensure the firm is providing top notch design solutions and serves to meet client needs. Marc volunteers on the ASTM committee which helps create safety standards for public playgrounds. 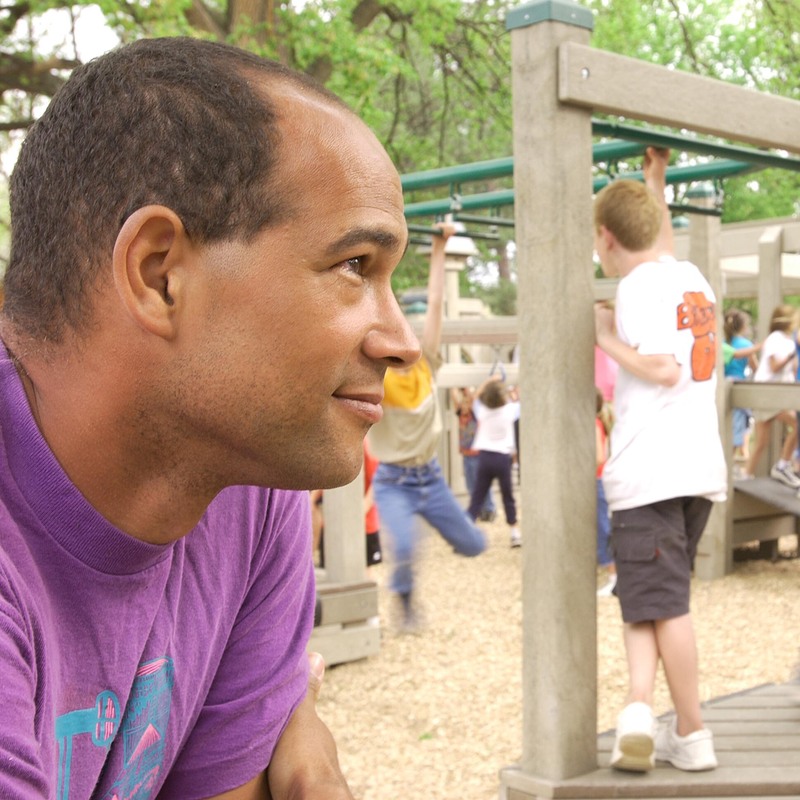 He is a nationally certified playground safety inspector (CPSI) and knows the safety standards and guidelines that apply to today’s playgrounds. Marc has project managed and built hundreds of playgrounds both here in the US and internationally. His experience goes far beyond design and project management. He has been in the field managing volunteers and leading playground builds since he was a teenager. His project experience covers community-build, contractor install and a combination of the two. Marc has project managed and lead more than 30 contractor installs recently ranging from $250,000-$1.2 million. L&A had five of its playgrounds recognized in the Top 30 most impressive accessible playgrounds in the world, with Shiver Me Timbers at #1 and Tatum’s Garden at #2.